The collaboration between City and India’s leading compressed air company has resulted in the best electrically driven screw compressors for the Indian market. 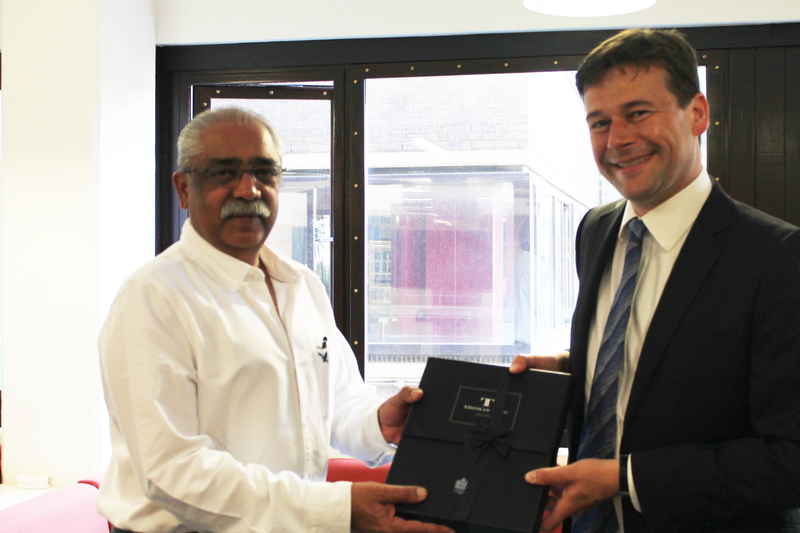 The Executive Chairman of the Kirloskar Pneumatic Air Compressor Group, Mr Rahul Kirloskar, and the company’s Managing Director, Mr Aditya Kowshik, visited City, University of London on June 8th 2018 for discussions aimed at deepening the collaboration between the University and Kirloskar, which has resulted in the successful design and manufacturing of a family of oil-injected compressors. In September 2016, a team of researchers from the Centre for Compressor Technology, led by Howden Chair in Engineering Design & Compressor Technology, Professor Ahmed Kovacevic, entered into a Research & Development (R&D) collaboration - Research and development of the best electrically driven screw compressors for the Indian market - with Kirloskar Pneumatic Company Ltd, valued at £465k over three years. We are thrilled with this exciting research collaboration and we anticipate significant mutual benefits which extend beyond the duration of this project. 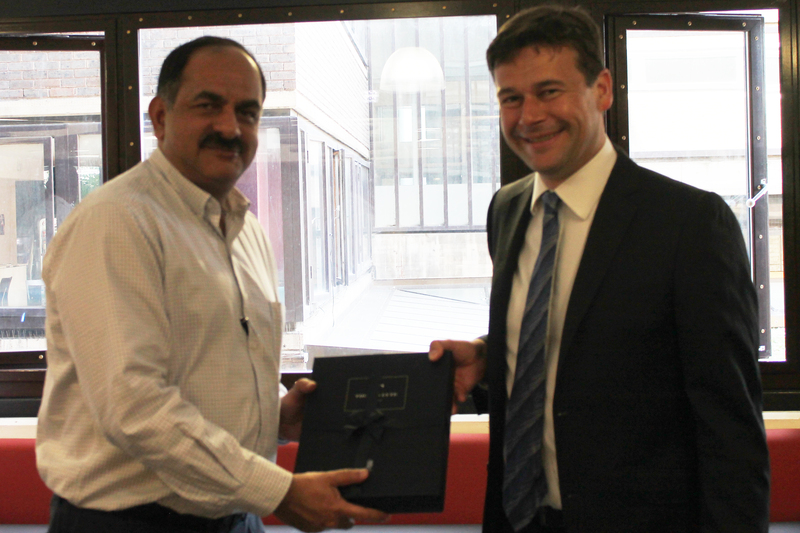 The existing research climate at City and the opportunities arising from research councils are offering many opportunities for extending our fruitful collaboration which is likely to produce excellent research outputs and impact in India, the UK and beyond. "We are extremely pleased with the collaboration between our two institutions and the team that was assembled and led by Professor Kovacevic. The performance achieved by testing of the prototypes of our new family of oil-injected compressors and the training of our staff through PhD studies are exceeding our expectations. The compressor market in India is very competitive which inevitably brings challenges in commercialising new compressors but the collaboration with City is our strength.Our discussions are aimed at creating opportunities for furthering the project beyond our present achievements." The joint R&D project includes PhD training and research with the aim of developing a range of high-performance screw compressors for the company. The existing funds are providing support for the three-year engagement of a research associate and two PhD students who are trained by the staff of the Centre for Compressor Technology, the world renowned group at City which has developed compression technologies used across the globe. This project is a continuation of the Centre’s productive activities, which, over the last two decades has manufactured compressor products in collaboration with more than a hundred companies, produced more than 300 hundred publications, scores of patents and authoritative textbooks which are widely accepted as canons for the modelling of compressors. The Centre for Compressor Technology also organises a world renowned bi-annual Compressors Conference. The 11th conference in the series will be held at City, University of London on 9-11th September 2019.